Getting Shady Super PACs Out Of Politics! Everyone says that they’re for open and transparent elections and campaign finance. But in reality, what we legally allow makes a mockery of the current system. I know this personally. 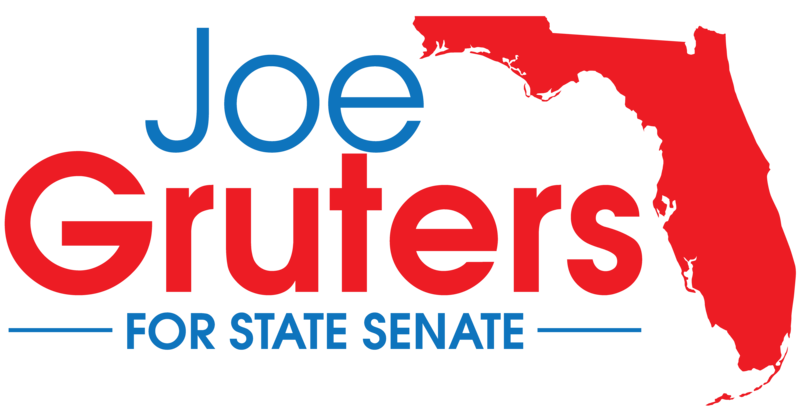 I was targeted in my 2016 campaign for the Florida House by about $100,000 in attack mailers from obscure political committees. But I did not know — and still do not know — who was behind those attack ads because special interests are allowed to launder their campaign dollars through multiple committees to hide their identities. They can remain in the shadows and secretly fund their dirty political ads. This is simply wrong. Honestly, I can’t take a cup of coffee and not report it without violating laws and getting fined. But somebody, somewhere, anywhere, can spend the value of a house against me in negative ads and no one ever knows who did it. I’m a CPA and I can track it for awhile, but at some point it falls into a black hole — almost like a clearinghouse — of these political committees and then neither I or anyone can trace where the money is actually coming from. As a Member of the Florida House of Representatives, I authored H.B. 1057 in order to block the transfer of money from one political committee to another political committee, which would be a big step towards full transparency. This simple fix to a loophole in our campaign finance laws would help bring much needed sunshine by ensuring that all voters have the ability to see who is funding the support or opposition to a candidate running for office. This effort earned me a Champion Award from the Orlando Sentinel, and it’s not something that I will give up on. 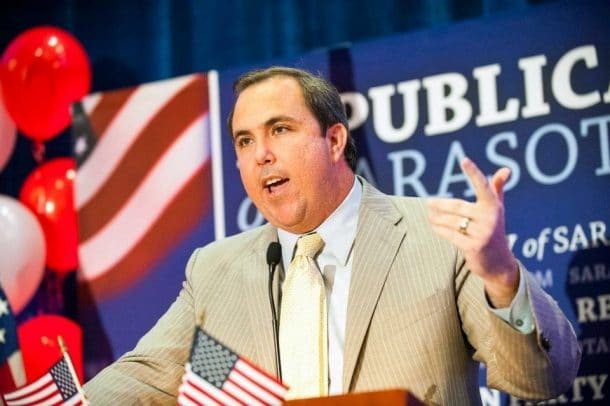 CHAMP: Joe Gruters: A freshman state House Republican from Sarasota, he was targeted in his 2016 primary campaign by a series of attack mailers from obscure political committees. Gruters estimates the effort cost $100,000, but the original source of the money behind it was hidden by an all-too-common practice in state politics: Special interests launder their campaign dollars through multiple committees to hide their fingerprints, and distance themselves in the public eye from any dirty politics paid for with their cash. Gruters, who accurately described this process as a “shell game,” has introduced legislation to bar political committees from transferring their funds to other committees. 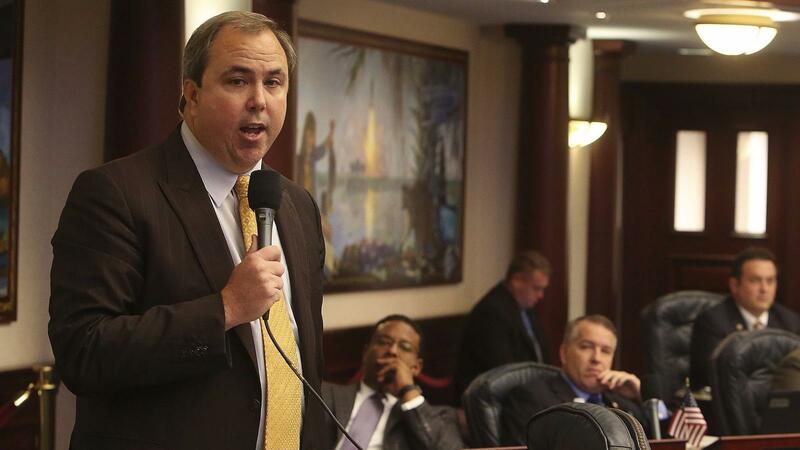 If leaders in Tallahassee give a hoot about transparency, they’ll get behind this bill. It’s often difficult to trace the source of political ads in Florida because the money can be funneled through multiple political committees, obscuring where it originally came from. Gruters’ House Bill 1057 would end that. The legislation prevents one political committee from transferring funds to another. It’s pretty simple, but it could significantly change the state’s political landscape. “This will stop a lot of the games that are being played,” Gruters said.